Temperate rain forest, the Olympic Mountain range, and stunning beaches overlooked by awe-inspiring sea stacks all lie within Olympic National Park. 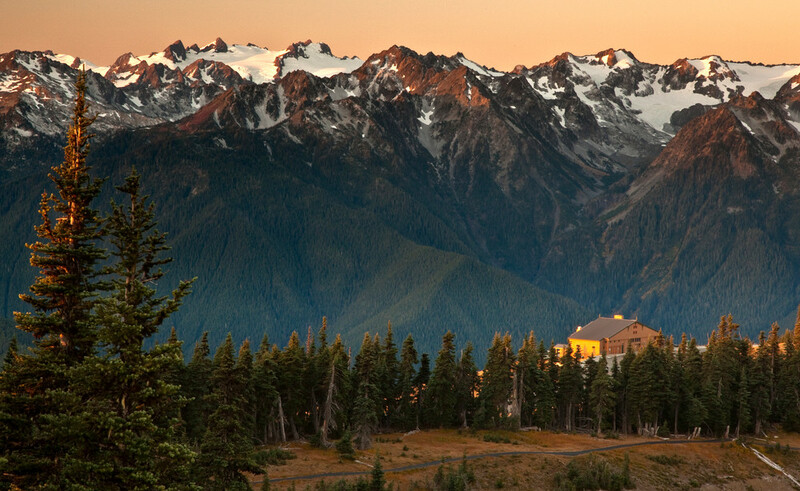 I began hiking up Hurricane Ridge before sunrise, putting me at an elevation of over 5600 feet. Oftentimes, the view on Hurricane Ridge is obstructed by clouds, however, I was fortunate to arrive on a clear morning. As the sun rose over the Strait of Juan de Fuca, morning light illuminated the winding road and surrounding tree tops. The drive up Hurricane Ridge is 18 miles of winding road just like that before you now.